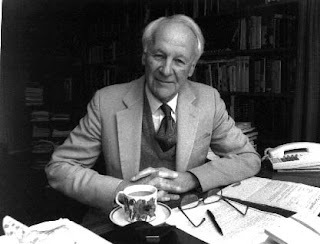 John Stott, the great evangelical statesman, recently passed away. He has long been a role model for me as he combined his faith with not only a commitment to sharing that faith with gentleness and respect, but also in his holistic approach to his faith and his willingness to reassess aspects of it (such as in his leanings toward annihilationism in contrast with eternal punishment, a point worth considering in light of the Rob Bell Love Wins controversy). Randall Balmer recently wrote a piece in Stott's memory for Religion Dispatches that is worth reading.